If It’s Warming – Why This Awful Winter? If you live in North America, especially the Northwest or NorthEast, this winter seems colder at times, with more snow, more long-lasting, and just plain nasty. The UK and Northern Europe got the same. What happened to the nice global warming scientists promised? And sure enough, even the short-term weather models predicted an easy mild winter – except for a small group of scientists who are not watching for El Nino, or La Nina for answers. They are looking at a brand new Arctic that is warming at twice the rate of the rest of the planet. Sea ice is near record low for winter, thin, and easily broken by storms. Snow cover is declining. So it’s time for some ugly truth from a pioneer in this field: climatologist Judah Cohen. Maybe Northern Hemisphere winters will be worse and wilder for a while, destabilized by rapid heating in the Arctic, even in winter. In our second interview, a new and unexpected feed-back loop could limit the amount of carbon dioxide absorbed by the ocean. Since about 90% of our emissions have been hidden in the ocean, this could be serious news. 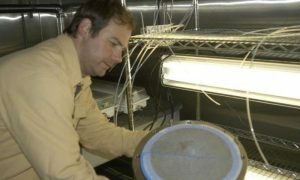 It is deep science on a way life responds to carbon pollution – with a short-cut to more heating, sooner. Can we geoengineer our way out of that? Stay tuned for Dr. Andrew Allen on the new discovery. Welcome to Radio Ecoshock, and here we go. What the heck happened to those warmer winters we were promised with global warming? Don’t ask New Englanders why they are still digging out, or Siberians whether this winter will ever end. We’ve reached one of the few climatologists who predicted this weird bend in climate change. Dr. Judah Cohen is the Director of Seasonal Forecasting at AER. That stands for the private meteorologic company Atmospheric and Environmental Research. Cohen is also a Research Affiliate at the Parsons Lab at MIT, and author of many scientific papers. His latest paper, with co-authors Karl Pfeiffer & Jennifer Francis was just published March 13 in Nature Communications. The title is “Warm Arctic episodes linked with increased frequency of extreme winter weather in the United States“. 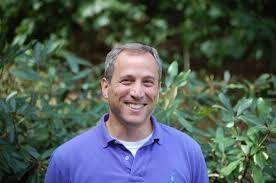 Find out more about Dr. Judah Cohen at his web site. His weekly blog “Arctic Oscillation and Polar Vortex Analysis and Forecasts” is here. When Judah and I talked in January 2017, TV news ran graphics of “the Arctic Vortex”, like a big bulge of cold falling down into the United States. But this year, it seemed like that Arctic cold was split into two, with cold in the West, and another winter blast hitting in the UK and northern Europe. Judah describes what happened and why. So winters may generally get warmer, but during certain periods, from mid-January to mid-February, we can expect and predict snowier cold storms in the U.S. Northeast, and Eurasia. But the impacts of increased extreme winter storms do not stop with winter. If there is more and later snow, that can increase spring flooding, help agricultural irrigation, (or delay planting due to muddy fields). All this matters way beyond the morning commute. This new paper does employ a tool developed for North American weather-casting: the Accumulated Winter Season Severity Index (AWSSI). Before the work of Cohen, and papers by people like James Overland and Cohen’s co-author Jennifer Francis, mainstream science told us the main driver of winter came from not from the Arctic, but from the Tropics. This new group of scientists find some weather disturbances were not from the El Nino, La Nina cycle, but apparently regulated by conditions in the Arctic – things like low sea ice, low or shorter season snow cover, and even “sudden stratospheric warming”. The observation are true even though they were not predicted by most climate models. Not all scientists agree with this theory of Arctic causation. Last week I interviewed Dr. Mark Serreze from the National Snow and Ice Data Center in Boulder Colorado. He expressed doubts about Arctic drivers of winter weather, saying the jury is still out. “We computed the return period of varying thresholds of snowfall across the US before (1950–1989) and after (1990–2016) the emergence of AA [Arctic Amplification]. The authors note their results do not apply to the Western United States, which in most cases has seen reduced snowfall. I realize all this is not what we want to hear. As a Canadian, I was comforted that at least global warming would make the winters less miserable. The last few winters have been worse, although they alternative between warmer than average to really cold and snowy. How can we explain to simplistic climate deniers, that yes, these awful winter storms are likely signs of climate change? But they are. In this interview, I mention my 2006 show on winter sports. Even the owners of the large resorts, like Aspen and Whistler, wondered out loud if there would still be winter sports. But now in 2018, Judah Cohen just returned from some of the best powder skiing he’s ever seen in New England! WILL WARMING END SNOW SPORTS? It’s tough to accept that winters in the Northern Hemisphere can get worse even as the planet heats up, due to the way warming strikes the Arctic first and hardest. The models didn’t predict it, but the facts are plain. We still don’t know with certainty the mechanism that connects a hotter Arctic to dirtier winters in a wide band further south. It could be Jet Stream Changes. It could be sudden warming in the Stratosphere, followed by a Polar Vortex pushed down south. We don’t know yet, but what we have to know is that it’s happening. It’s another case of when you heat up a planet too quickly, the unexpected happens. We have new science about how our carbon dumping strikes the food chain in world oceans. Plus how that will reduce ocean storage of carbon, meaning our emissions hit us faster and harder. To get there, we have to peer into microscopic creatures, zip from 700 million years ago to the latest genetic sequencing tech, and understand how we get iron needed to live. It’s a big paper, too big for one show, but we will give it a shot – with our guest scientist Dr. Andrew E. Allen. Andrew is a Joint Associate Professor working with the J. Craig Venter Institute and Scripps Institution of Oceanography at the University of California. Our interview contains a few words of scientific jargon I didn’t know, and you may not know. Don’t let that bother you. Because each response from Dr. Andrew Allen also contains serious news from the science front. I put a glossary of any troubling terms below. I think you are in for a look at science that gathers all the new skills, from genetic exploration to satellites, along with the old skills, and a touch of genius. The new paper, with lead author J.B. Mcquaid, is titled “Carbonate-sensitive phytotransferrin controls high-affinity iron uptake in diatoms“. It was published March 14 in the journal Nature. Dr. Andrew Allen at work. We know that acidification of the ocean makes it more difficult for some plankton to make shells. But I did not know (and it is very new science) that acidification also reduces a form of carbonate necessary for tiny ocean life to capture needed iron. It seems that while the ocean is capturing and sequestering up to 90% of our excess carbon, that will be reduced as the iron crisis increases. (c) plankton can operate like a network where some species may specialize in gathering iron (but no one knows that for sure). All that said, up to half the iron preferred by diatoms, especially in iron-deprived areas like the Southern Ocean, may become unavailable. If less carbon is captured by these organisms, more remains in the atmosphere, adding to global heating. That creates more acidification, which kills off more diatoms? We have a possible feedback there. SO SHOULD WE JUST DUMP IRON INTO THE SEA? The wiki entry on “iron fertilization” is here. Paul Beckwith has done both a blog and a You tube video on the possibilities of iron fertilization to reduce carbon in the atmosphere. I’ve seen articles written about this paper which reach more alarming conclusions. I think scientists, especially good scientists, are very careful. They prefer to stick within the limitations of what we know now – rather than projecting into the future. But of course, someone needs to look forward, especially since the shocking future has already appeared so often, so soon. Anion An anion from the Greek word ?? ?, meaning “up”, is an ion with more electrons than protons, giving it a net negative charge (since electrons are negatively charged and protons are positively charged)” The opposite is a cation. I’m Alex. Thank you for listening to Radio Ecoshock again this week. We are still only less than half way to raising the $5,000 I need to get help expanding our radio station list. It’s not just vanity. We all need to get this serious climate information out as far as possible. The “More Radio Ecoshock” project begins by telephone calling program directors of most college radio stations in the United States. We must reach and warn young people. Their climate will be wrecked, unless we can bring young people into a huge climate movement. We’ve seen early waves of activism on women’s issues and gun control. Climate must be next (or we are literally “cooked”). I can’t do the expansion work on my own, while producing this show every week. So I need your help to get some help. Please consider becoming a monthly $10 donor to Radio Ecoshock. Your support is a huge deal. Or make a one-time donation of any amount. Details here. End song: “Climate Change” by Bunny Sigler. Watch the music video on You tube here. Here in Northern Germany, we actually did get a weirdly mild winter – like, hardly any frost at all in January, when usually the freezing weather settles in to stay right around New Year’s (after a reliably snow-free Christmas warm spell). This winter, we got our first serious frost period (several consecutive days to a week of deep night freezes and no thawing of the soil during the day) in late February, just when it looked like winter might be cancelled entirely for this year. Which the meterologists explained is still a normal time for such a hard frost in our area; it’s just that we had quite mild Februaries in recent years and thus aren’t used to it anymore. What is not really normal, though, is that we have kept intermittently freezing weather ever since then up till the end of March, with even some snow yesterday, just a few days before Easter. While I do remember one unusually cold winter in the last 10 years when we had snow on the ground until the end of March because it just wouldn’t get warm enough to thaw (France actually ran out of power for their electrical heating that year, leading to huge imports from Germany, because nuclear plants just don’t adapt well to demand), normally we should be in spring by now. All the crocusses are blooming or are already done, and the tulips have been sprouting since January. At the same time, the various bushes aren’t producing any new leaves at all yet, and even the hazel flowers haven’t really opened yet (normally the first sign of spring around here), despite sufficiently sunny days (which are followed by freezing nights because the lack of clouds mean the Earth radiates heat into the atmosphere more easily). Usually, these woody plants start waking up at the same time as the bulbing flowers bloom, and the hazel pollen flies in February. And I’m getting serious problems growing vegetables from seed this year, because I normally should be able to move most of the seedlings from the house (where they don’t get enough light and I’m running out of space to put the following sowings) to an unheated, but by now reliably 5°C to 10°C warm greenhouse. But I can’t, because it’s still barely above freezing in the greenhouse. And I’ve also been carrying all the large planters back and forth between the garage / greenhouse (too dark for plants just ready to burst leaf buds or sprout anew from the root) and outside (occasionally way too cold at night for these young leaves/sprouts), and throwing bubblewrap covers over strawberry beds and tulips every other week. Normally, I could just leave everything at least mildly frosthardy outside unprotected by this time of the year without expecting much damage from night frost. It feels like basically the winter season suddenly shifted from January / February to February / March, but the plants that didn’t spend the entire winter outside didn’t get the message. Yes, the same problem here in Western Canada. Still snow on the hills when there should not be. My little greenhouse is heated, but I’m paying more, because March, and now early April, are staying cold. I should have shifted plants at least out to cold frames, but it’s too cold at night! Like you, I’m bringing plants out during day, and into house at night. Not normal. Considering that the documentary series is presented by Will Smith and a bunch of former astronauts, this show has a reasonable chance of actually getting watched by a fairly broad audience. * Sorry, the show started airing a couple of days ago in the U.S., not last week. Appreciating the time and effort you put into your blog and detailed information you offer. same unwanted rehashed material. Fantastic read! Help keep us on the air! Questions? Use our Contact page. Content copyright © 2019 Radio Ecoshock and licensed on this site under a Creative Commons Attribution 3.0 License. Website design by C. E. Hartung © Copyright 2003-2018. All rights reserved. Powered by WordPress.